Ondem Syrup is used in the treatment and prevention of nausea and vomiting. Take this medicine in the dose and duration as advised by your doctor. Check the label for directions before use. Measure it with a measuring cup and take it by mouth. Shake well before use. Ondem Syrup may be taken with or without food, but it is better to take it at a fixed time. Ondem Syrup is an antiemetic medication. It works by blocking the action of a chemical messenger (serotonin) in the brain that may cause nausea and vomiting during anti-cancer treatment (chemotherapy) or after surgery. Ondem Syrup is probably safe to use during pregnancy. Ondem Syrup is probably safe to use during lactation. Limited human data suggests that the drug does not represent a significant risk to the baby. Ondem Syrup does not usually affect your ability to drive. Ondem Syrup is safe to use in patients with kidney disease. No dose adjustment of Ondem Syrup is recommended. However, inform your doctor if you have an underlying kidney disease. Limited information is available in patients taking this medicine for more than one day. There is limited information available on the use of Ondem Syrup in patients with liver disease. Please consult your doctor. What if you miss a dose of Ondem Syrup? If you miss a dose of Ondem Syrup, take it as soon as possible. However, if it is almost time for your next dose, skip the missed dose and go back to your regular schedule. Do not double the dose. You have been prescribed Ondem Syrup for prevention of nausea and vomiting caused by chemotherapy, radiotherapy and after surgery. Unlike some other nausea medicines, the side effects for Ondem Syrup are relatively mild. It comes in many different forms that you don't have to swallow, such as a film that goes on the tongue or a dissolving pill. It is fast-acting and starts working within 30 minutes. If you vomit within one hour of taking a dose, take another dose. Avoid heavy meals and try eating small nourishing snacks throughout the day. Also, sip water regularly to help avoid dehydration. Ondem 8 mg/MD (sustained release) are the same, prescribed in different doses at different intervals, depending on the cause of nausea and vomiting.Evion is basically Vitamin E. 400 and 600 mg are two different doses, thats all. I have 4 month pregnancy &amp; using ondem tab for nausea and vomiting it is safe ? I have also face constipation problem so which medicine is safe to relieve constipation. When he eat something then he omet it.&amp; We gave ondem syrup but no result. Vomiting Loose motion. If it?s a breastfed baby, breastfeed as and when the baby demands. It helps to restore the water lost from the body. If the baby is formula fed or above 6 months, ORS could be given. 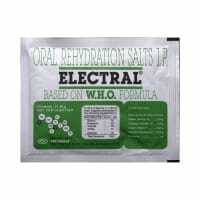 ORS packets are easily available in medical stores. 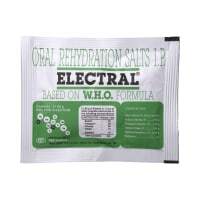 If the ORS packets are not available, 1 teaspoon of sugar and equal amount of salt can be mixed in the cooled boiled water and provided after each bowel movement. This helps to restore the lost ions and water from the body.There are many underlying causes of Patient?s symptoms. Different cause needs different treatment. Specific treatment cannot be given unless we establish exact underlying cause. Advice given without doing clinical examination can be imperfect or some time harmful to patient. There are many underlying causes of Patient?s symptoms. Different cause needs different treatment. Specific treatment cannot be given unless we establish exact underlying cause. Final and perfect diagnosis cannot be done without doing clinical examination of patient. Please consult me or any other Paediatrician. will take detail history and will examine patient in detail. All information will be used to determine exact underlying cause of problem. Depending upon cause will give opinion and prescribe you treatment. At time may ask you relevant investigations if necessary. 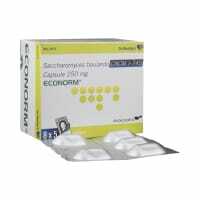 I am travalling to abroad , I need to carry medicin to avoide/stop vomiting. Can you please suggest any medicine. Do you have any questions related to Ondem Syrup? What were the side-effects while using Ondem Syrup? How do you take Ondem Syrup? What are you using Ondem Syrup for? Q. Can I take ondansetron with Tylenol/Pepto bismol/azithromycin/ xanax/ vicodin/ oxycodone/ hydrocodone? Q. Can ondansetron make you sleepy? Q. Is ondansetron antibiotic/anti-histaminic/sulfa drug? Q. Is ondansetron a controlled substance? No. Ondansetron is not a controlled substance. Q. Q. Can I take Ondem with omeprazole? Ondem is an anti-emetic medicine which helps in relieving nausea (feeling sick) or vomiting. 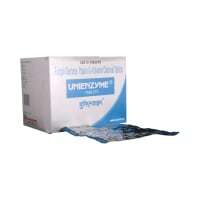 No harmful effects have been seen when omeprazole is used with Ondem. So, these two medicines can be taken together. Sharkey KA, Wallace JL. 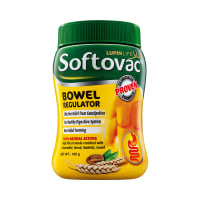 Treatment of Disorders of Bowel Motility and Water Flux; Anti-Emetics; Agents Used in Biliary and Pancreatic Disease. In: Brunton LL, Chabner BA, Knollmann BC, editors. Goodman & Gilman’s: The Pharmacological Basis of Therapeutics. 12th ed. New York, New York: McGraw-Hill Medical; 2011. pp. 1341-42. A licensed pharmacy from your nearest location will deliver Ondem Syrup. Once the pharmacy accepts your order, the details of the pharmacy will be shared with you. Acceptance of your order is based on the validity of your prescription and the availability of this medicine.